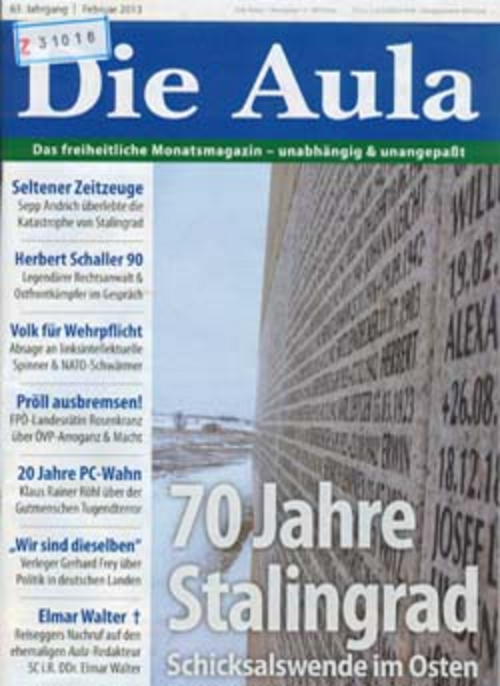 In reaction to right-wing extremist endeavours, especially defamation and ridicule of resistance fighters and the down-play of Nazi crimes, DÖW, starting in the 1970's, has built a collection of right-wing extremist publications and materials. Due to the renaissance of right-wing extremist trends and their change from small and tiny groups to a component of the established political landscape, the right-wing extremism collection has developed into a strong component of the work done by DÖW researchers. The collection holds material about more than 150 Austrian and approximately 100 German organizations (some still existing, some not), political parties, media, etc., especially newspaper clippings, right-wing extremist periodicals, leaflets, books, etc. approximately 50 countries (from Algeria to the USA, with the main emphasis on Austria and Germany). Selected periodicals (Aula, Eckartbote, Deutsche National-Zeitung, among others) are complete, up to 30 volumes have been collected. Recently, right-wing extremist/neo-Nazi propaganda, which has been spread worldwide through the Internet in increasing amounts, is being collected in the form of printouts and on diskettes. You can search for material in this collection via an electronically supported call-up and in the Handbuch des österreichischen Rechtsextremismus (Handbook of Austrian Right-Wing Extremism).